JOHANNESBURG, South Africa--The Human Rights Foundation today presented its Gold Award to Enver Masud, author of The War on Islam, and founder of The Wisdom Fund. Dr. M. Adam, Chairman, Human Rights Foundation, acknowledged the contribution of the author, a U.S. citizen residing in Arlington, Virginia, "for his efforts in dedicating himself to unveiling the truth regarding the onslaught against Islam." The award states that his book "is a superb contribution to the truth." The award presentation came at the conclusion of the author's two-week, lecture tour of South Africa sponsored by the Human Rights Foundation, and coincided with the launch of the South Africa edition of The War on Islam. Within a period of nine days, in a hectic tour of Johannesburg, Durban, and Cape Town, Mr. Masud spoke at 20 events--a press conference, nine talks on radio, and ten talks at Islamic institutions, including mosques and schools. Mr. Masud spoke of major events of the past 12 years, and placed them in the context of the colonial era beginning with the fall of Muslim Spain in 1492; the expulsion of Jews and Muslims by the conquering Christians; the end of World War II which left the U.S. controlling 50 percent of the world's resources; the breakup of the Soviet Union; the denigration of Islam and Muslims to justify U.S. "defense" spending; terrorism and recent events in Iraq, Afghanistan and Palestine; the September 11, 2001, attack on America. "That Americans were surprised by the September 11 attack," says the author, "is evidence of the failure of major news media to communicate to Americans the reality of the world in which we live. Years of biased reporting and half-truths have left Americans poorly informed of the enemies we have created. While Americans are usually welcomed around the world, America is often 'hated'." Mr. Masud's book answers why. Mr. Masud's talks drew audiences ranging from several hundred at schools and mosques, to about 1000 at Halima Hall in Benoni--a suburb of Johannesburg, and over 1000 at Orient Hall in Durban. Radio Metro broadcast an interview with the author to South Africa. 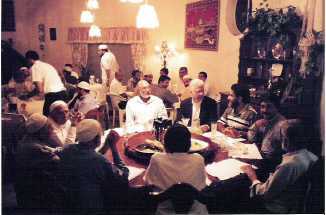 Voice of the Cape, Channel Islam, and Radio Islam broadcast 2-hour discussions with the author. 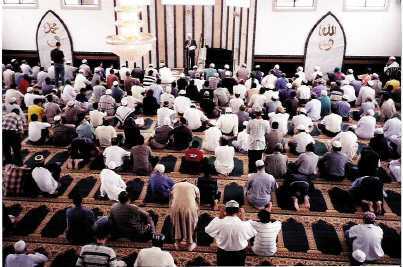 Channel Islam reaches 55 countries via satellite. 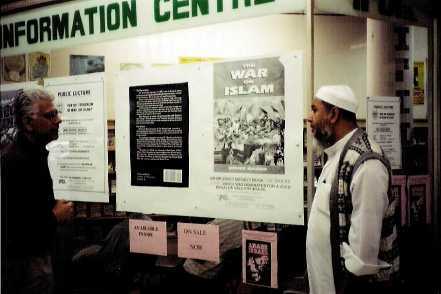 The Human Rights Foundation is distributing 7000 copies of the South Africa edition of The War on Islam. Government officials, embassies, key organizations, and media will receive free copies. Others may purchase them at the discounted price of R50, subsidized by the foundation. 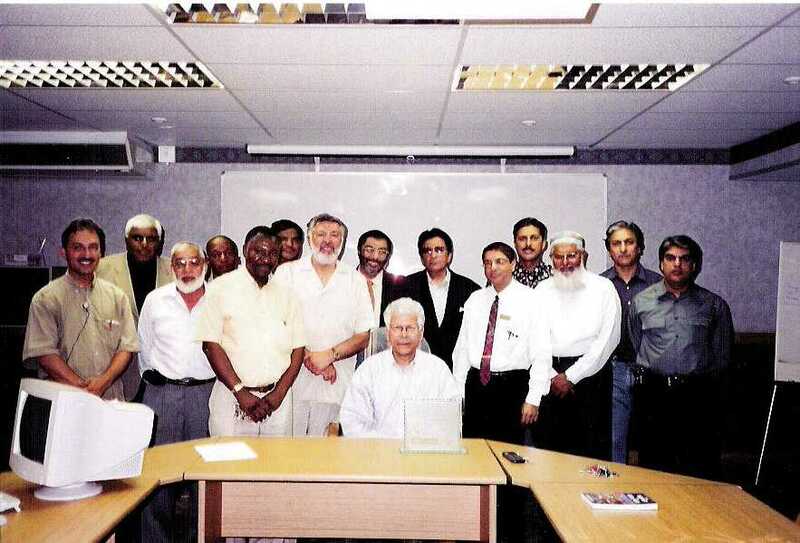 The book has been received enthusiastically, and not just by Muslims who struggled for the end of apartheid alongside the "blacks, Indians, and coloured" of South Africa. Premier Sam Shilowa of Gauteng--roughly equivalent to governor of the wealthiest U.S. state--was given a signed copy of the book. A few days later he requested 50 more for his staff. So did Willy Madisha, president of the Congress of South African Trade Unions. Available at Amazon.com-- additional buying information for the current edition of The War on Islam is available at The Wisdom Fund web site TWF.org.